For breakfast you could start off the day with any of the following: oatmeal, a breakfast bar, cottage cheese pancakes, or some Green Lemonade! Soup and salad always makes for a great lunch. 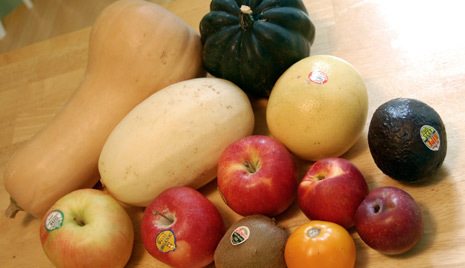 Try some Apple Butternut Soup, Ginger Peanut Soup or Mushroom Soup. In a hurry? Throw together a Kale and Avocado Salad, Vegetarian Waldorf Salad, Pear and Blue Cheese Salad or a Nori Wrap. The options for dinner are endless… from Lentil Burgers, to Pasta Stuffed Peppers, to a vegetarian twist on the BLT. Last by not least, don’t forget dessert!